Cooking With Mickey: New Disney Travel Deal! 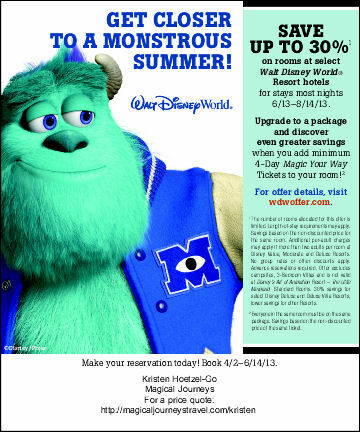 So far Disney hasn't released any 'Free Dining' promotions but here is the newest deal to come out. Currently this deal is only available to Disney Visa cardholders but starting Tuesday, everyone can take advantage of these savings. If you 4 or more day park tickets you'll save on those too!